Indigo Proves Bookstores Are Not Dead by Expanding into the USA! 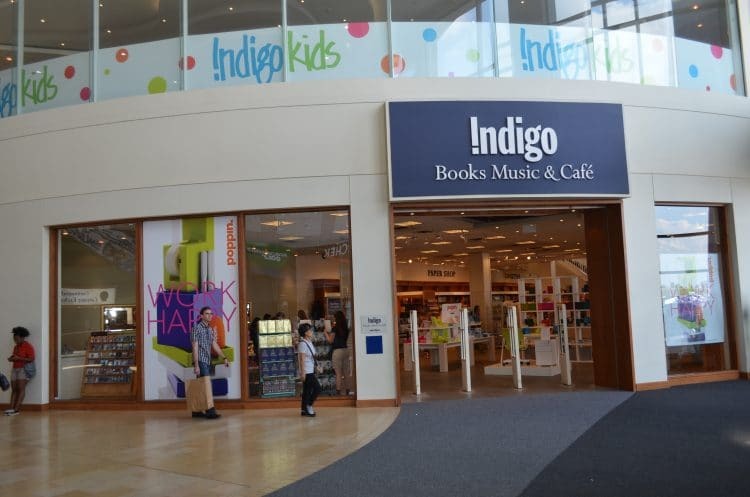 Indigo Books might not be a household name in the United States, but they are extremely well known in Canada. Much like Barnes and Noble in the USA, Indigo is the last bookstore standing for our neighbors to the north. B&N needs to step it up, though, because Indigo is coming to America! “Expansion” isn’t a word that’s been used alongside bookstores in quite some time. But there are a few factors that will likely help Indigo in their quest. For one thing, ebook sales have dropped almost 20%, and there’s been a resurgence in purchases of physical books. It appears a backlash is building against being always-on, and picking up a physical book is one way to escape. Plus you can’t take fancy Instagram photos of your Kindle app as easily as you can of a shelf of books. The other thing that will likely help them is that Borders left a hole in the book market that B&N doesn’t completely fill. Barnes and Noble isn’t a bad store, but it’s somewhat stiffly corporate, and the stores look essentially like they always have. Indigo, on the other hand, sees themselves as a “cultural department store“, which may sound like a mess of buzzwords but in practice means Indigo sells more than just books. They divide up the stores into multiple media/product areas, making them a destination for shoppers looking for more than just books. It’s been their strategy for several years, and appears to have paid dividends for them in Canada. Indigo’s first store will be in Short Hills, NJ, so they’re targeting an affluent, upmarket consumer with their expansion. They will also be in a mall that does not currently have much in the way of anything that sells books/media/general items, so their inventory and style will stand out among the stores. That location used to hold a Borders many years ago, so it will be interesting to see if Indigo can succeed where their predecessor did not. Whether or not you like big-chain bookstores, it’s a positive sign for the book market that Indigo sees the USA as an expansion market, and it shows that reading, books, and the cultural need for a bookstore can exist alongside a world of smartphones and tablets!